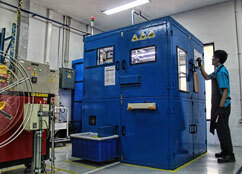 Following successful certification for automotive manufacturing quality from International Automotive Task Force (IATF), Saint-Gobain, producers of Norglide Bearings, has announced that its new Bekashi Plant in Jakarta, Indonesia, has commenced into full production. The plant is the company’s first composite bearing production facility in the country, which produces sliding bearings with a self-lubricating liner of polytetrafluoroethylene (PTFE). 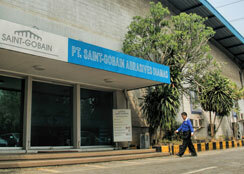 This facility will showcase Saint-Gobain’s state of the art technology, manufacturing processes and expertise, which has established Norglide bearings as a market leader in bearing performance, closer to customers in the expanding Indonesian market. Developed by IATF, ISO/TS 16949 is the globally recognised technical specification and quality management standard for the automotive industry. The certification brings together standards from across Europe and the US to define best practice for design, development, manufacture, install or service of automotive products. During the company’s ribbon cutting ceremony for the plant,Stuart Kelly, Marketing Manager Asia said the significant strategic investment in this new facility will support its Tier 1 and original equipment manufacturers (OEM) partners in Indonesia. The facility is initially focusing on customer demand for established Norglide solutions for applications within the seat and hinge categories. Each Norglide bearing solution is custom developed with experienced Saint-Gobain engineers in partnership with the customer to deliver on OEM specification and make a big difference to the end user. With PTFE liners and filler compounds, Norglide composite bearings are corrosion-resistant and maintenance-free, offering consistent controlled friction over the lifetime of the automobile. The PTFE liner compensates for misalignments and tolerances in case of thermal expansion. Norglide composite bearings can be customised for various automotive applications to ensure the optimum weight, wear and tear resistance, as well as noise and vibration dampening.